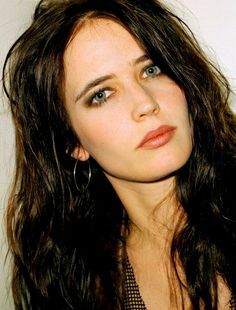 Eva Green is a French actress and model. She came to prominence after being cast in the historical epic Kingdom of Heaven, and the James Bond film Casino Royale. She played Artemisia in the 2014 film 300: Rise of an Empire. Other popular movies Green has acted in are Cracks, Sin City: A Dame to Kill For, Womb, Dark Shadows, The Golden Compass, Miss Peregrine’s Home for Peculiar Children, Perfect Sense, and Dumbo. She portrayed Morgan Pendragon in the Starz historical fantasy series Camelot, and played Vanessa Ives in the Showtime horror drama series Penny Dreadful, for which she received a nomination for Best Actress in a Television Series – Drama at the 73rd Golden Globe Awards. Born Eva Gaëlle Green on July 6, 1980, in Paris, France, to Swedish dentist and occasional actor Walter Green, and French-Algerian actress and singer Marlène Jobert, she has a fraternal twin sister named Joy. She studied directing at NYU’s Tisch School of Arts and studied acting at Saint Paul Drama School in Paris. She began her career in theatre before making her film debut in Bernardo Bertolucci’s The Dreamers in 2003. She was in a relationship with actor Marton Csokas from 2005 to 2009. *She was born in Paris, France on July 6, 1980. *She was born two minutes before her twin sister Joy. *Her ancestry includes Swedish-French and Sephardi Jewish. *She appeared on her first magazine cover when she was two months old. *She studied flute and piano, and plays classical music. *In 2006, she was placed at #16 in the list of Maxim. *Empire magazine named her #6 in the 100 Sexiest Stars in film history. *Her hobbies include collecting art and visiting museums. *She admires François Truffaut, Tim Burton, Lars von Trier, Ingmar Bergman, David Lynch and David Fincher. *Isabelle Adjani is her favorite actress. *She is good friends with Jordan Scott.